In the spring of 1902, based on the idea of four sophomores, John Lee '04, Henry Pogue '04, Otto Wolff '04, Conway Shearer '04, and Frank "Pop" Little '03 lead the formation of a new upper-classman eating club. In April, a stake of $400 was placed to ensure the secure formation of the club the following year. 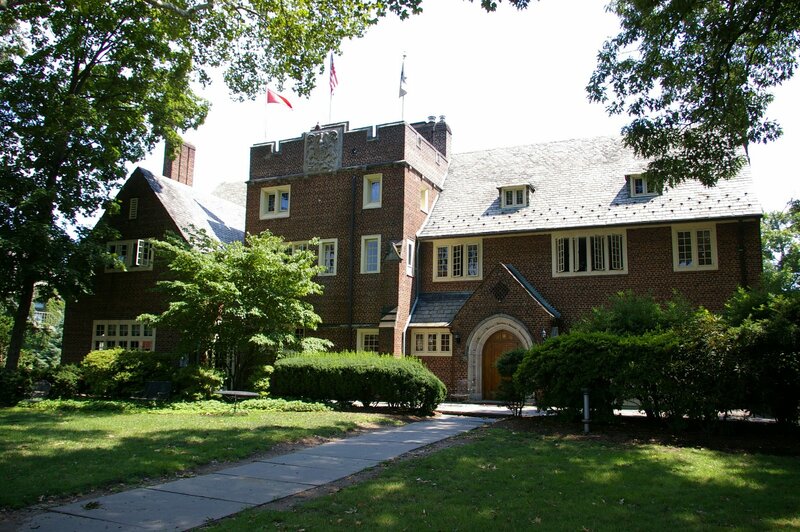 In September of the same year, in the old Monastery Club on University Place, the Princeton Tower Club was formed. It was comprised of 13 members of the senior class, and 13 juniors. During that year, the club hoped to move to a much coveted plot on Prospect Avenue, but settled for the Gulick House on Olden Street. Gulick was also known as the Incubator because it had served as a first home for a number of the infant eating clubs. After one term in the "Incubator," Tower purchased a plot of land from the Cottage Club and, in September of 1904, moved to a new home at 89 Prospect Avenue. This "modern" facility, which boasted hot-air heating, was improved with a laid sidewalk, a tennis court, and the additional purchase of adjacent land. After seven years at that location, Tower bought the old Quadrangle Club building, which by then had moved to Nassau Street. While using this facility for four years, the Club secured the purchase of a plot of land from Quad at 13 Prospect Ave. for $25,000. Although a structure existed on the new grounds, there was great demand to build a new clubhouse for Tower. Using money from the sale of the 89 Prospect property several years earlier, the Tower Club set about designing and building the new house. Roderic E. Barnes '03 was selected to design an "ample, attractive and practical clubhouse, without making it ostentatious." And, in 1917, the clubhouse that is still used to this day was completed. Included in its design was the Tower, which symbolized the club and bears its seal. In 1921, the clubhouse, which by then had become synonymous with Tower, had a disastrous fire, which started and was mainly contained within the tower. The day after the fire, every member of the Board was at the site, and immediate plans were made for the repairs, which were rapidly completed. Throughout the war era, the club remained open even though its membership dropped at one point to a mere fifteen men, all of whom were ROTC officers. Throughout the years, Tower had been maintained through the leadership of a number of particularly devoted individuals, including James W. Newman '26, and Dudley Woodbridge '44. The club has added a sunroom, a billiards room, and the new kitchen and dining facilities. Under the leadership of Tower, an Interclub Council was formed to address issues involving all of the Princeton eating clubs. Tower also led the formation of the Prospect Foundation which enables educational opportunities on the "Street". Tower was one of the first clubs to decide to accept women in 1971. Recent improvements to the club include the purchase of a new entertainment center and the renovation of the basketball and volleyball court in the backyard. "Tower Club is listed in the University catalogue as one of the Prospect Street eating clubs, but it is much more than that. To us who now use it daily, it is a second home here in Princeton, a place where we belong and which somehow seems to belong to us. There, besides eating, we meet our friends, entertain our guests, and relax in peace and quiet - a sanctuary from the daily routine of classes and work. 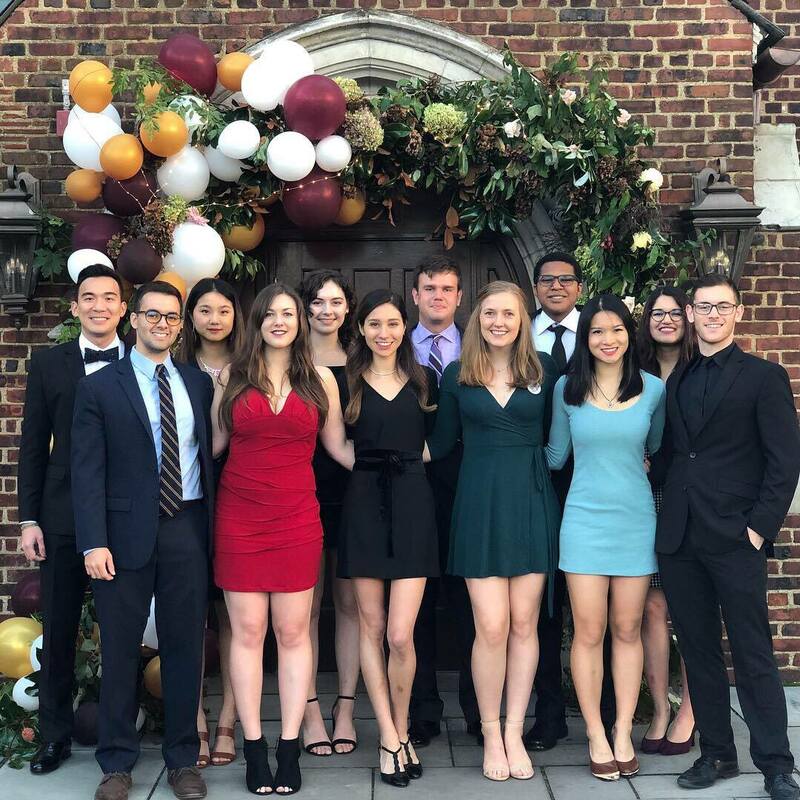 Tower Club is the center of our social life and is so intimately fused with our upper-class years that is it is impossible to conceive of Princeton without the club as a focal point." -William Haerther '42. Today, Tower is a vibrant club of approximately 220 upper-class members whose interests encompass nearly all aspects of Princeton life. Members enjoy what has been consistently rated the best food on "The Street" as well as wide array of resources at their disposal including entertainment facilities, pool tables, DVD collections, computer facilities, and much more. Always True Blue, always the best! We’re excited that you’re considering joining our True Blue family! The current recruitment period is for . Enter your name, NetID, and class year to receive emails concerning Tower recruitment events over the next few weeks! 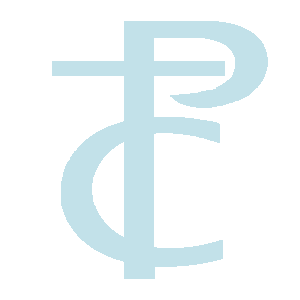 Note: This is a mailing list for updates about open meals, social events, and recruitment schedules. It does not obligate you in any way! One of Tower’s defining qualities has always been its members’ passion for a wide range of activities. It is this intellectual curiosity and extracurricular engagement that makes the experience at Princeton and at Tower so deeply enriching. For our members, however, that passion does not stop when they leave the Orange Bubble; it extends to the professional world, which is one of the many reasons why Tower alumni have expert insights into a variety of industries. This year, we’re beginning a Tower Mentorship Program to create an access point for that expertise by a new generation of motivated Princetonians. Our goal is to connect current members interested in particular professional, creative or scholarly fields with professionals who can share their experiences and offer guidance on life post-graduation. If you’re interested in becoming part of the Tower Mentorship Program and helping pave the way for a new generation, please reach out to Aliya Somani. Please fill out the below form to update your email address.